–On Oct. 30, 46-year-old Daniel Joshua Phares pled guilty to making criminal threats, a misdemeanor, for his Aug. 17, social media posts on Facebook that communicated a threat to kill participants of the San Luis Obispo Women’s March. 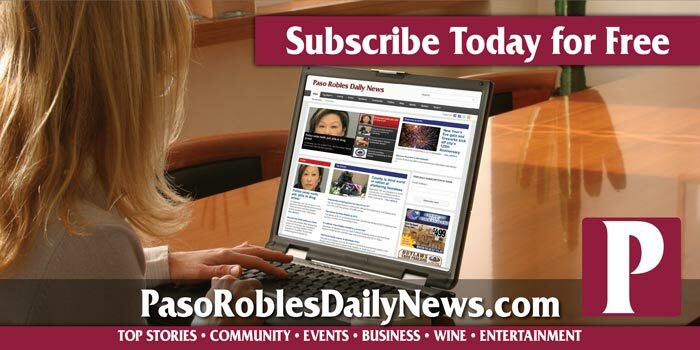 Phares reached an agreement with the San Luis Obispo District Attorney’s office where he will be placed on formal probation for 18 months, will undergo anger management counseling and will be subject to a 10-year ban from owning or possessing firearms and ammunition. Phares will also be required to write letters of apology to the victims of his criminal threats. On August 17, 2017, Daniel Phares threatened the SLO Women’s March through their Facebook page. The group had organized an event titled, “Outshine the Darkness” after the violent attack in Charlottesville where a man drove into a crowd with a vehicle, killing one person. Phares wrote multiple threatening posts on the SLO Women’s March Facebook page, including the following: “I will kill every one of you and make you like it.” In another post, Phares wrote about how awful and excruciating nerve gas is: “yeah except using it on the degenerate shitholes of the world would definitely be in the common good. We need to make sure America’s stockpiles are safe.” The victims were terrified for their safety and contacted San Luis Obispo Police Department. San Luis Obispo Police Detectives contacted the defendant who admitted to making the posts and taking the posts down later. Phares owned three firearms including two handguns that were located at his house. Detectives were led to a storage locker where he kept an AR-15 rifle. All guns were seized. Phares will be sentenced on Dec. 11. The maximum punishment for this offense is six months of actual custody in the county jail. The case was investigated by the City of San Luis Obispo Police Department and prosecuted by Deputy District Attorney Christopher Peuvrelle.